Deciding whether or not to purchase a home after a divorce is a tricky decision for most. We’ve found that when it comes to homeownership after divorce, many of our clients choose to rent instead. After having just gone through the process of divorcing their mortgage, we can’t really blame them. However, if you’ve worked with us in the past, you know how important educating our clients is to us. 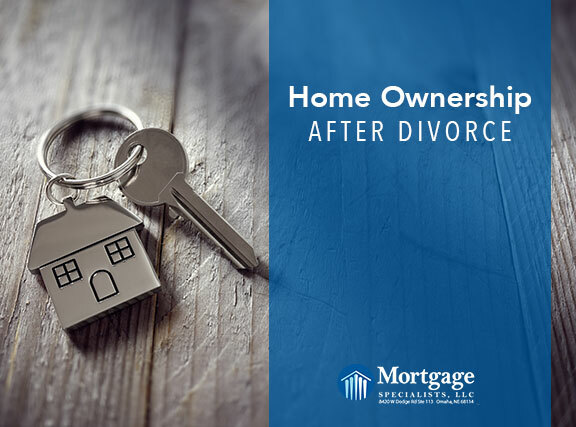 So, keep reading to discover the pros and cons of homeownership after divorce so you’re able to make an informed decision. Equity – Owning a home can be a great investment. With each mortgage payment, you’re able to build equity and increase your overall net worth. Stability – Assuming your mortgage has a fixed rate, you know what your housing cost will be for the remainder of your loan. More responsibility – When you own a home, you’re responsible for it both financially and otherwise. That means if the sink begins to leak, you can’t just call your landlord to come fix it. You have to fix it yourself or hire someone who can and pay all related expenses. Less flexibility – In the months following a divorce, it’s not uncommon to feel the urge to change certain aspects of your life. It’s often a time of turmoil and if you own a home, you lose a lot of flexibility on being able to change your living situation. 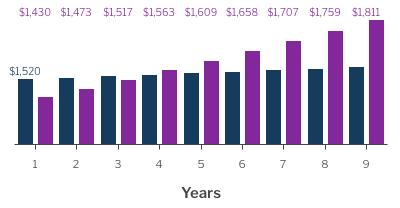 As you can see in this first graph, while the cost of owning a home is initially more expensive, in just 4 years, the cost of renting exceeds it. 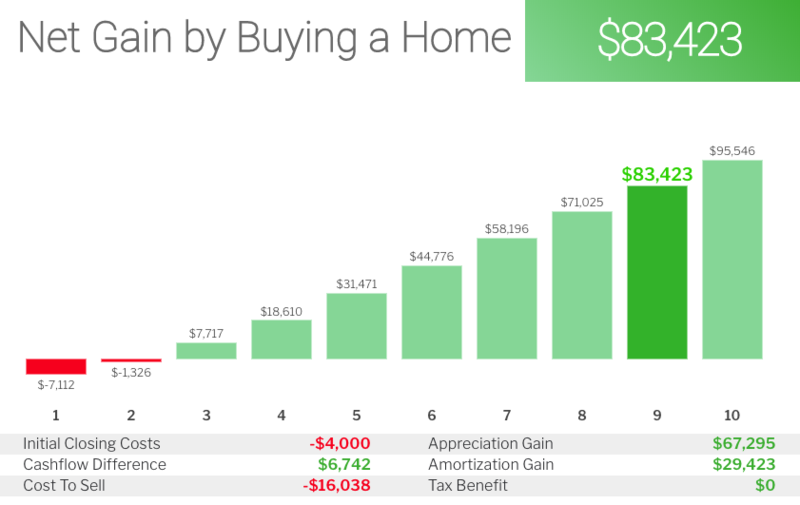 In this second graph, you can see that over the course of owning a home for 9 years, you have the ability to gain roughly $83,000. Deciding on homeownership after divorce is a very personal and often difficult choice. If you’re interested in seeing what loans you would qualify for, begin the pre-approval process online or give us a call at 402-991-5153. *Graphs are based on the following numbers.